Quantity Surveying Course are one of the most highy demanded programs under the construction field. This program help to understand the basic principlas of construction. City and guilds in one of the highly recongised institute of UK which conduct serise of reupted programs in differnt area. There are several parthways of this higher education. 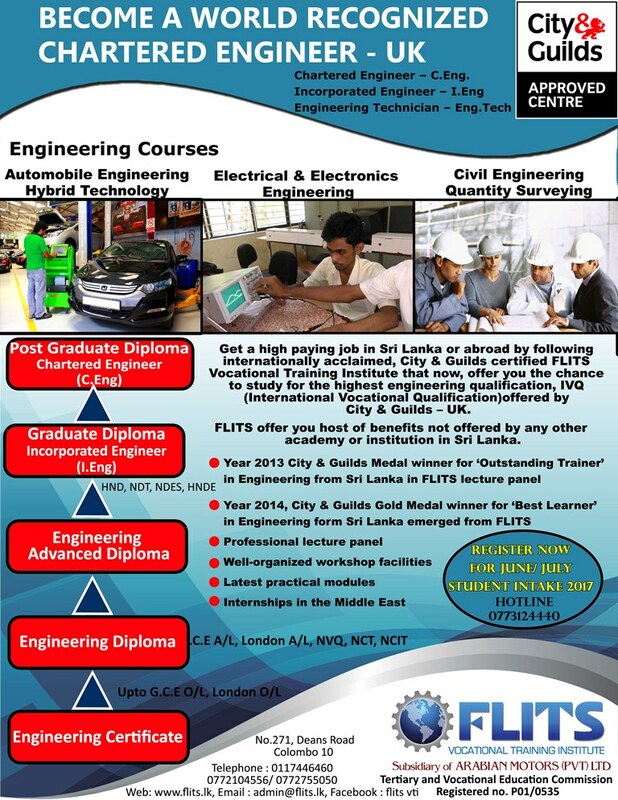 To get a higher paying job in Sri Lanka or anywere abord by following internationally accliamed, city and guilds certified FLITS VocationalTraining Institute that now, offers you the chance to follow the highest engineering qualificaitons , IVQ (international Vocational Qualification) Offered by City and guilds UK. NVQ, NCT, NICT qualification will be added advantage. The Technician Certificate in Construction can help you get into the construction industry either in the UK or around the world. FLITS Vocational Training Institute offers you host of benefit not offerd by andy other academy or institute in Sri Lanka.